So I was looking through old posts the other day and found all of these ideas for teaching story elements – lesson planning ideas, picture books to use for specific story elements, and other resources. Here are the best of what I found. Just click on any image to see the original post. 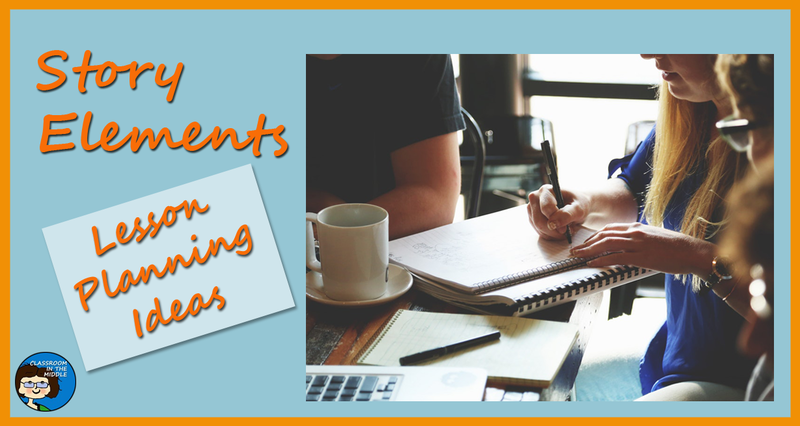 In this post, I suggested a number of discussion questions for each story element. 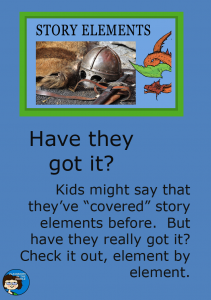 The questions can be used to informally gauge what your kids already understand about story elements and what they just think they know. 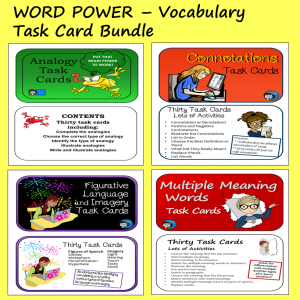 This post gives details about several kinds of resources that can be used to teach story elements including an introductory presentation, task cards, graphic organizers, and a game. 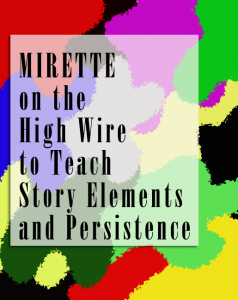 The picture book Mirette on the High Wire is a great story to start with when introducing the basic story elements of character, plot, and setting. 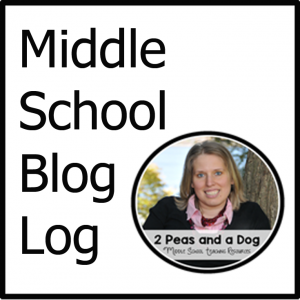 It’s a fun story with an interesting setting and a good message too. 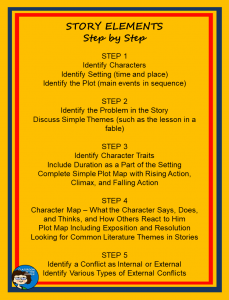 This post includes an anchor chart that you can download with a suggested outline of for steps to teaching all of the story elements. The Wall is a picture book that works well with kids of many ages. 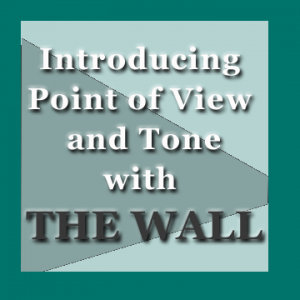 It’s great for introducing slightly more advanced elements like point of view and tone. 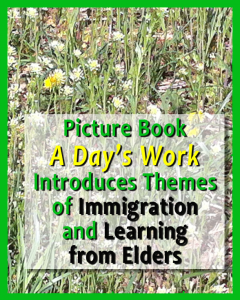 A Day’s Work, another wonderful picture book, introduces two themes that work great for class discussion – immigration and learning from our elders. 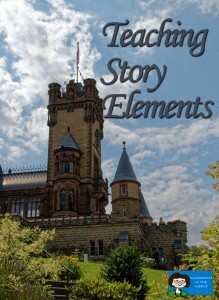 This short story be great for making the concept of theme understandable to kids. Kids will love the modern graphic versions of traditional fairy tales in Fairy Tale Comics. 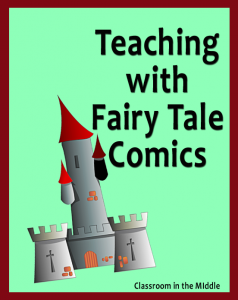 Traditional or comic, fairy tales are great for teaching story elements especially plot and characterization. 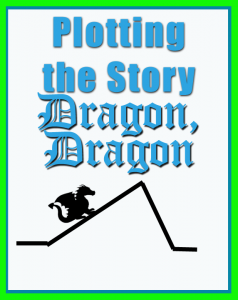 All about using the middle grades favorite short story Dragon, Dragon to introduce story elements, which is what I did for my story elements presentation. 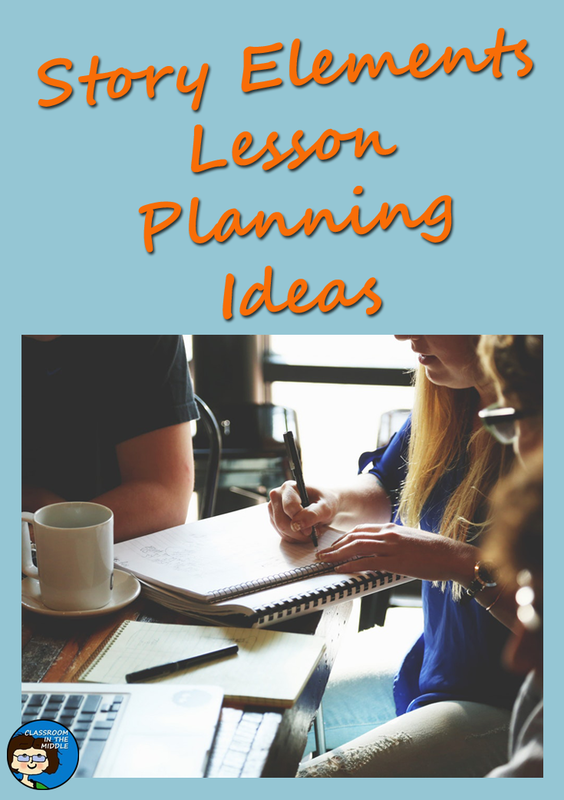 Story dice are a fun tool for narrative writing; students roll the dice to choose elements for their stories such as the hero, the villain, the setting, obstacles, and so on. 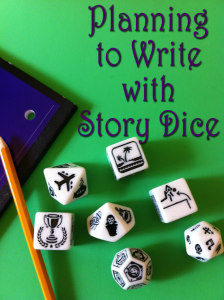 Story dice could also be part of a fun reading lesson that introduces story elements. I’ve written three posts about picture books with interesting opening lines that could be used to demonstrate various story elements. 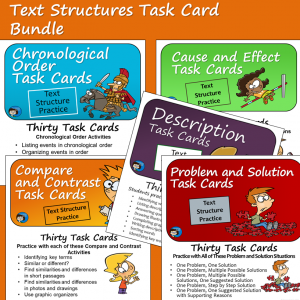 Originally, I had in mind to use these in narrative writing lessons as well, but they would certainly work equally as well in reading lessons on specific story elements. 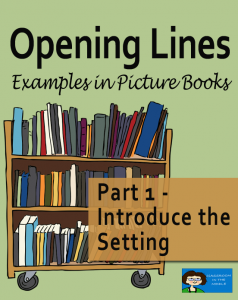 This first one is about opening lines that introduce the setting. The other two are about introducing a character and hinting at what’s to come.